The former U.S. Pipe and Wheland Foundry site is seen on Aug. 23, 2018, in Chattanooga. NASHVILLE — Chattanooga and Tennessee's three other largest cities will soon be included in a retooled version of Sen. Todd Gardenhire's brownfield redevelopment bill. When introduced in February, Gardenhire's bill generated alarms in Chattanooga, where owners of the 141-acre former Wheland and U.S. Pipe foundries sites are looking to redevelop the property. They want to use tax-increment financing provisions allowed by the 2011 law which permits sales tax collections from within a targeted area to pay for development at previously developed sites which may be complicated by the presence or potential presence of hazardous substances or contaminants. 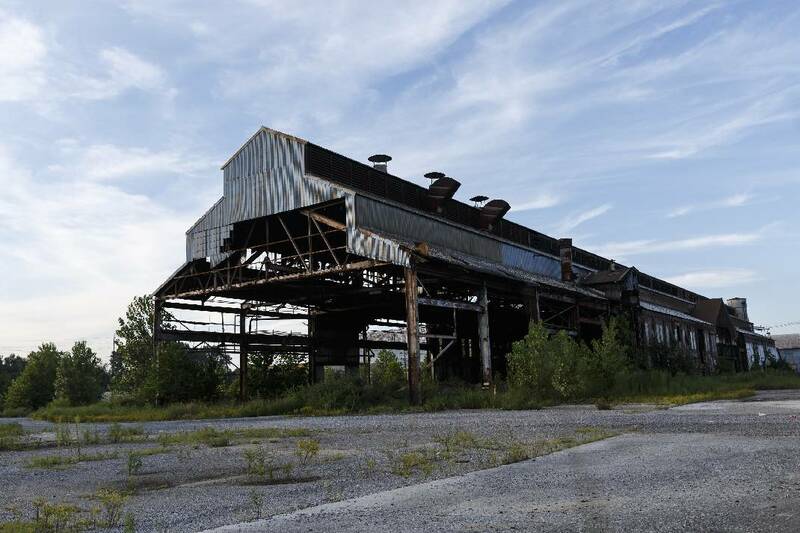 Current law allows cities in the state's four largest counties — Hamilton, Knox, Davidson and Shelby — to take advantage of a county industrial development board to redevelop eligible brownfield sites. The designation lets them utilize certain local sales and property taxes for site redevelopment. It was sponsored by then-Sen. Andy Berke, a Democrat and now Chattanooga mayor, in 2011 and applied to bigger former industrial sites in mid-to-large counties. Gardenhire's initial bill excluded the "Big Four." He said at the time: "If you have wealthy investors that are sitting on a benefit that was designed to spur economic development and growth during a recession — and they haven't done anything for a decade with it — and yet we still have to see the ugliness coming around Lookout Mountain into the city, then they obviously don't need that benefit." The bill dismayed owners of the Chattanooga site and also sent lobbyists for the city and Tennessee Municipal League scrambling. But dismay turned to smiles this week when Gardenhire discussed in the Senate State and Local Government Committee his proposed bill amendment to include the "Big Four" counties. As he discussed his bill in the Senate State and Local Government Committee this week, Gardenhire said that "after working with many stakeholders to improve the first bill passed in 2011 by clarifying ambiguous language that caused no one to use these provisions, we have come up with an amendment that would expand these benefits to all counties and especially those small and medium-size counties that have brownfields." "I think I made a point about excluding populations on a broad basis," he added. "That was the point because the original law that was adopted only applied to the largest counties." While the existing law gives the tax incentives "for ever and ever and ever," Gardenhire said, his amendment limits financing to no longer than 30 years and ends the incentive upon maturity of the original financing. It also adds new language to current law's definition of "qualified costs" that includes costs for remediation and mitigation of a brownfield project. Another change: It adds "qualified opportunity zone" to the current definition of "redevelopment zone." That will allow more projects to qualify, the senator said. And it eliminates size requirements that now say brownfield projects have to be at least five acres. That, Gardenhire said, will allow more projects to qualify. "Economic development often requires every tool that a community possesses, especially if the site has had environmental issues," Berke said. "I appreciate Sen. Gardenhire for listening and changing his bill so that we can turn more vacant properties in our city into productive parcels with good jobs." Gardenhire, whose district includes Cleveland in Bradley County, has said he specifically wants the bill to help local officials there as they seek to redevelop a huge former industrial site owned by Whirlpool located there. "They haven't been able to sell it and this will help them to be able to sell it to a developer and develop it for retail space in an area that used to be industrial," Gardenhire said. Rep. Dan Howell, R-Georgetown, is handling the House version which moved through subcommittee without the new amendment and is scheduled for action Wednesday in the Local Government Committee. His district includes portions of Bradley County. Gardenhire is expected present the bill Tuesday in the Senate State and Local Government Committee.